March 14 - Keith Howell, who led Osbourn to three district and regional championships and a berth in the Group AAA state final in 2005, has joined the coaching staff at Patriot as an assistant this spring. The longtime skipper brings experience and a winning pedigree to Josh Steinberg’s staff, which lost former head and assistant coach Sammy Serrano after the 2018 season. Steinberg and Howell are joined on staff by pitching coach Sean Cheetham and Matt Holman. “Keith Howell brings a wealth of successful experience to the table and the program feels very fortunate to add a talented coach to the staff,” Steinberg wrote via text message. “We have been able to bounce a lot of ideas off him in regards to team defense, practice plans and drill work, and that has opened our minds to another perspective. Howell guided the Eagles program for 19 years over two stints - from 1996-2012 and then again from 2015-16 - leading Osbourn to 13 winning seasons and the 20-win plateau four times. The Eagles won a school-record 24 games in 2002 and then again in 2005 and were 252-160 overall under Howell. Patriot has gone 50-19 in its first three seasons under Steinberg, who was named the 6A North Region Coach of the Year after leading the Pioneers to the region final and state semifinals in 2017. Patriot is 1-0 this spring after opening the season with an 11-1 win over C.D. Hylton on Tuesday. Two matchups between teams ranked among the top five in the Northern Virginia Top 10 Poll will be held over the next two days. Tonight, No. 3 Freedom-South Riding (1-0) travels to face No. 4 Riverside at 6 p.m. in Leesburg. The Eagles opened their season with a 2-0 win over Loudoun Valley on Tuesday, and are in the midst of a tough early-season stretch in which they face the Rams tonight, private school power Liberty Christian Academy tomorrow, and No. 1 Battlefield on Monday. Tomorrow night, No. 2 Madison is scheduled to travel to No. 5 West Springfield, the defending Class 6 state champion, in the season opener for both teams. The Warhawks are coming off a 15-7 season and are entering their 24th season under longtime coach Mark ‘Pudge’ Gjormand, while coach Jason Olms’ Spartans are coming off a 24-5 that saw them win the Region 6C championship and the fourth state title in program history. Riverside is ranked No. 9 in Prep Baseball Report’s preseason Super 25 Poll of teams from Virginia and Washington, D.C., the top-ranked team from Northern Virginia. The Rams are followed by No. 11 Potomac, No. 13 Madison, No. 16 Battlefield, No. 19 Fauquier, No. 20 Bishop O’Connell and No. 24 Highland School as area teams appearing in the poll. To view PBR’s preseason poll, click here. 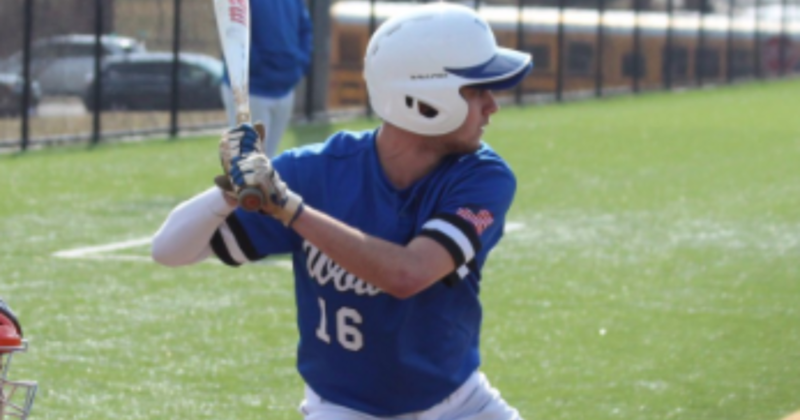 March 4 - West Potomac senior right-handed pitcher Tyler Rulapaugh, a George Mason University recruit, had surgery last Wednesday to move a displaced nerve and will miss the entire season, coach Jimmy Linza confirmed this morning. "My disappointment is only in that he will miss his senior year,” Linza wrote via text message. “We wish him a quick and full recovery." Wednesday’s surgery moved a nerve that had grown in the wrong place and was creating discomfort when Rulapaugh pitched, an ailment that also limited him to 10 innings last spring. Linza said Rulapaugh had initially indicated a desire to pitch through the pain and have the surgery after the season, but George Mason’s coaches requested he have it sooner so he’d be fully recovered in time for his freshman campaign with the Patriots next spring. Rulapaugh is 4-5 with two saves, a 3.20 ERA and 53 strikeouts in 45 innings over his two varsity seasons with the Wolverines. Despite the loss of Rulapaugh, West Potomac should still have the deepest staff in the Gunston District. Senior right-hander Jimmy Curley, who has signed with High Point, was a second-team All-Region 6C selection after going 6-1 with a 1.60 ERA and 48 strikeouts to just five walks in 39.1 innings last year. The Wolverines also return two lefties, senior Jack Bachmore, who will pitch at Lynchburg, as well as talented junior Adam Fischer. Joe Terrien, who spent the past three seasons as the junior varsity coach at Hayfield and 12 seasons overall as a coach with the Hawks program, was named as the new coach at Freedom-Woodbridge last month just prior to the season beginning. Terrien becomes the ninth coach in 10 years to lead the Eagles, who went 1-18 last spring in its lone season under former coach Rich Davila. The magazine confirmed his hiring over the weekend via area coaching sources. Freedom’s director of student activities, Steve Bryson, did not return multiple attempts requesting confirmation of the school’s new coach. Terrien has also coached football at Hayfield and has served as the golf coach at Lee. He works as a special education teacher with Fairfax County Public Schools. Mark Gunst and Mitchell Aker, who helped Paul VI Catholic win the Washington Catholic Athletic Conference (WCAC) and VISAA Division I state championships in 2012, served as the keynote speakers at the Panthers’ annual First Pitch Dinner on Saturday. Gunst and Aker, who went on to pitch at James Madison and William & Mary, respectively, helped Paul VI go 23-11 and sweep the WCAC and state titles for the second time in school history. Gunst was a second-team all-conference selection that spring, with Thomas Beauchamp and Richard Mancari earning first-team honors. Aker is entering his fourth year at the professional level, having signed to pitch this season for the Winnipeg Goldeyes of the independent Canadian American Association of Professional Baseball.